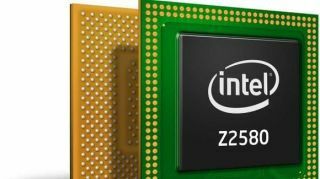 Reports on Friday claimed Intel processors will power a new breed of affordable touchscreen laptops and tablet devices running both Microsoft and Google operating systems. CNET's sources said the company is targeting the lower end of the market with both Windows 8 and Google Android touch-enabled devices. "There are design wins for Android tablets at that $200 price point. Intel will be participating in that market this year," the source told CNET. The report backs up comments from Intel CEO Paul Otellini who, following the company's quarterly earnings call this week, said the price of Intel Atom-based notebooks are to drop quite dramatically. "If you look at touch-enabled Intel-based notebooks that are ultrathin using [Atom] processors. Those prices are going to be down to as low as $200," he said. Earlier on Friday, Digitimes had claimed Intel was also promoting convertible Android-powered laptops running Intel Atom processors. It claimed Lenovo, Acer, Toshiba, Asus and HP were all planning to launch such devices later this year with a $500 "sweetspot" price point.